Plenty of pets will be more than happy if you bring crickets to dinner. Or, actually, if you make crickets part of the dinner offerings. For some pets, crickets and other insects can be the main part of the diet. For other pets, however, crickets should only be given as a snack or an extra. Make sure you always ask your vet what the best diet for your pet is, so you can keep him healthy and strong. When it comes to pets who love crickets, reptiles are probably at the top of the list. Bearded dragons, lizards and iguanas are all insectivores, which means they'll eat all types of live insects, including crickets. In order to provide the maximum nutrition, though, you'll need to make sure you "gutload" the crickets before feeding them to your pet reptile. Gutloading basically means fattening up your crickets with high-quality food -- That way they'll provide all necessary nutrition to your pet reptile. Tiny spiders probably won't be catching and trying to eat crickets. However, most spiders kept as pets are of the large variety, such as tarantulas and wolf spiders. 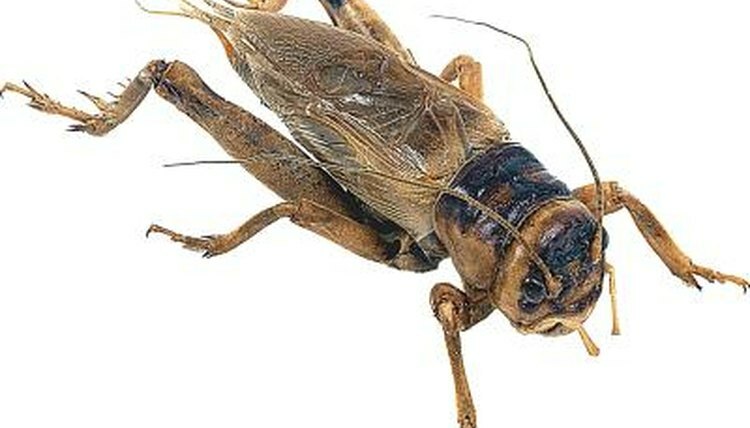 Like in the case of reptiles, crickets should be gutloaded before they become spidy food. Pet spiders only need to be fed once or twice a week, so you don't need to keep tons of crickets around. Frogs of medium to large sizes will be more than happy to eat crickets. They'll also eat cockroaches, locusts and flies -- which you can't buy at the pet store. So unless you plan on scouting your garden for insects, crickets are the best choice, as they are available from many pet stores. Pet tortoises can -- and should -- be fed a commercial pet food. That's because tortoise food bought at the pet store is well-balanced and provides all the nutrients your pet tortoise needs to stay healthy. In addition, you can also feed your tortoise fruits and veggies -- but only in small amounts. According to the Southwest Animal Hospital, which specializes in exotic animals, about five percent of the total food intake of your pet tortoise can be in the form of protein, such as crickets or mealworms.